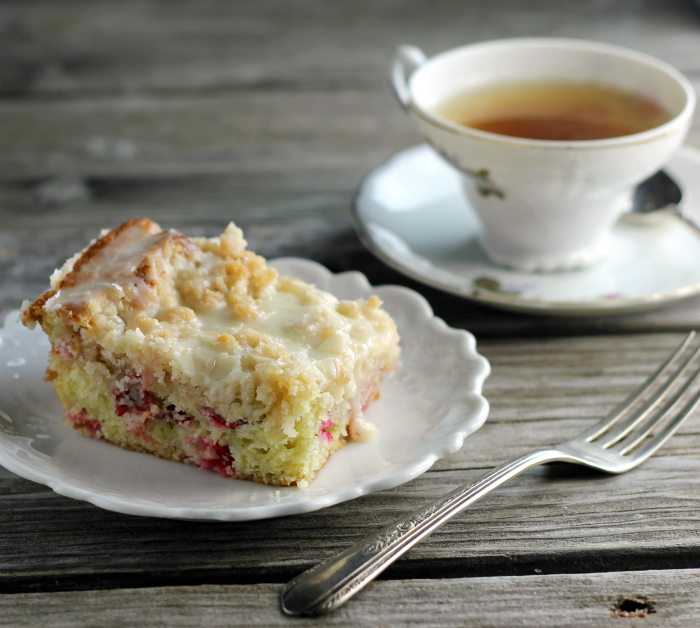 I love quick and easy coffee cakes, such as this cranberry orange coffee cake. Are you counting down the days until Christmas? I can’t believe the big day will be here in a few days. Are you ready? I am getting there, but I still have a lot of things on my to-do list. But I know that when Christmas Day rolls around ready or not I will be ready. On Christmas morning, there is always a lot of hustle and bustle around the house. The day doesn’t start quite as early as when our kids were small. I remember waking up many Christmas mornings when our kids were little and telling them to go back to bed because it was too early to get up. As they got older, we set a rule that they couldn’t get out of bed before 6:00 AM. I have to say I miss those days. With all the commotion on Christmas morning, there is not a lot of time to fix a nice breakfast, so I like to have something made ahead to serve for a quick breakfast. We always have a house full for Christmas, so I am in the kitchen bright and early cooking away. 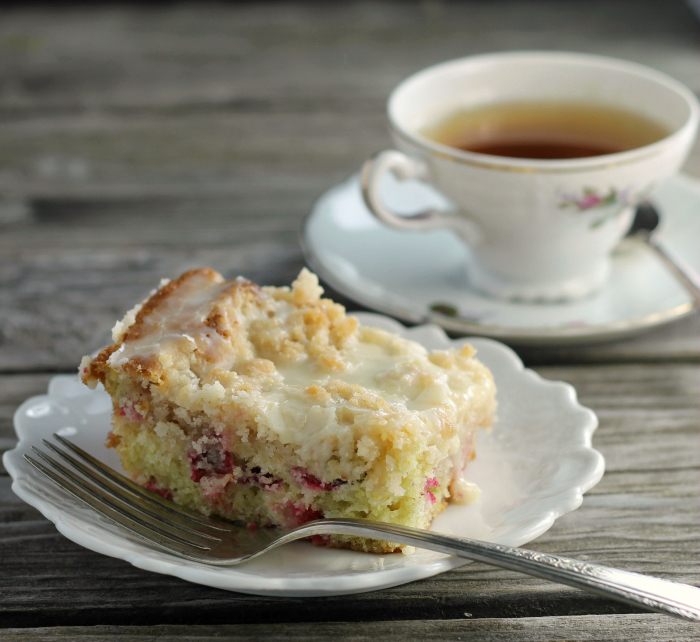 This cranberry orange coffee cake is perfect to make the day before to serve for Christmas breakfast. I can’t seem to get my fill of this combination; I love cranberry and orange flavors. The coffee cake has a simple batter, no yeast, so no need to wait for the dough to rise. 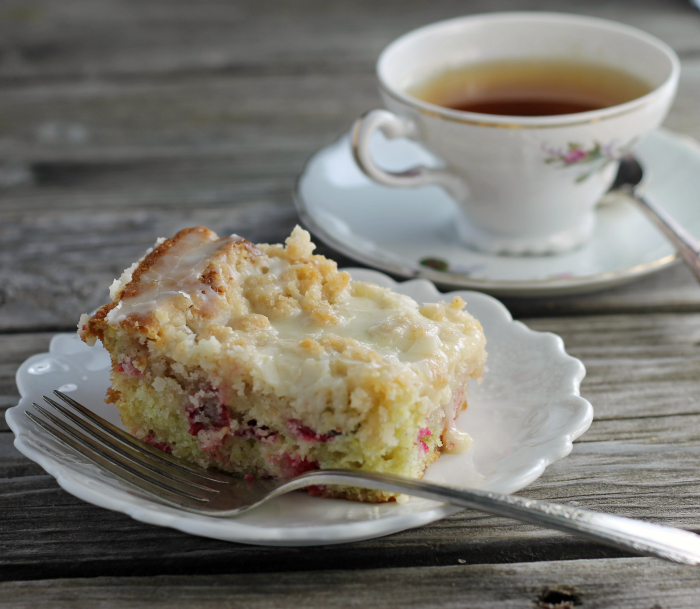 The cake has a hint of orange flavor and goes well with the tartness of the cranberries. For me, this type of coffee cake has to have a crumble topping to go with it. I went one more step for this coffee cake, I made an orange glaze. The orange glaze gives more of the orange flavor and is the perfect topping for this coffee cake. Moist cake with the crunchy crumble and orange glaze… the perfect treat to wake up to on Christmas morning. Preheat oven to 350 degrees F. Grease a 8 by 8 baking pan. For the crumble mix together the flour, sugar, and melted butter. Sprinkle over the top of the cake. Bake for 25 to 30 minutes or until a wooden toothpick comes out clean. Set on a cooling rack and cool completely. For the orange glaze. Beat the powdered sugar and orange juice together until you have the correct consistency. You will want it to be quite running. Drizzle over top of the cooled coffee cake. Let the glaze dry. It is ready to serve. I love, love, love the combo of orange and cranberry and in fact, the other day, bought oranges to go with my cranberry and orange bake. Yum. How’s the cold? All gone? This looks delicious! Fresh cranberries in baked goodies are my absolute favorite – I can’t get enough of them either. I hope you and your family have a wonderful Christmas! Can’t believe Christmas is almost here! And a new year right after that. Yikes! Anyway, lovely recipe for Christmas morning. Thanks. And Happy Holidays! This literally makes my mouth water… I haven’t even begun to think about Christmas morning, and this is just perfect, so thank you! 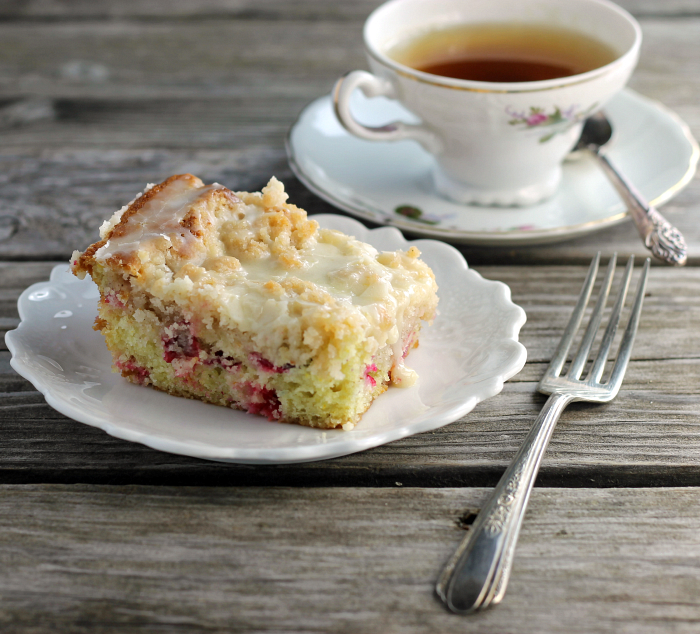 The sweet smells in your kitchen from your coffee cake sounds like a great way to start the day. Merry Christmas.